If you live in a high-income area, you probably won’t have too much trouble finding a childcare place. New vacancies are two-and-a-half times more likely to be created in Australia’s richest suburbs than in more disadvantaged areas, sparking calls for better monitoring of new childcare centre locations. 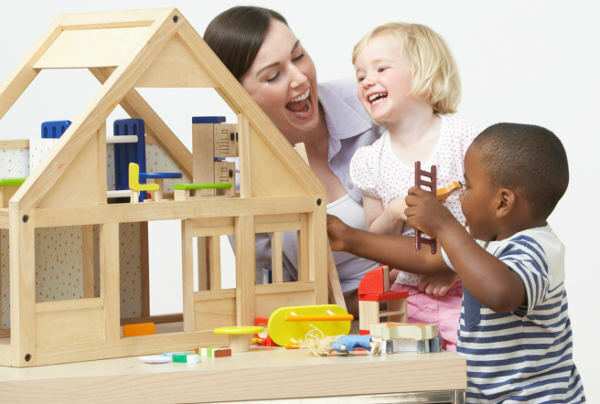 Three hundred and twenty-four new childcare centres have opened across Australian this financial year, creating more than twenty thousand places. But more than a third of those centres have been in the country’s richest suburbs. Childcare places in bluechip suburbs are growing at twice the rate of the population of newborns to four-year-olds, says news.com.au. More than forty per cent of childcare places created in NSW since July 1 are in areas that are home to the state’s top twenty per cent of income earners. Just eleven per cent have opened in the most socially disadvantaged parts of the state. Suburbs housing the top twenty per cent of Victorian income earners have received twenty-five per cent of the state’s new childcare places so far this financial year, with just eight per cent of new places opening in poorer areas. It’s a similar story in the Northern Territory, though Queensland, Tasmania and South Australia are bucking the trend. Australia’s largest childcare provider, Goodstart Early Learning, has called on the government to invest more in childcare in low-income areas. “We need more centres and better quality programs opened in the right places to support the families that need it,” chief executive Julia Davison tells news.com.au. Australian Childcare Alliance president Gwynn Bridge says there is a lack of planning and monitoring of where new child care spots are being established, with developers able to decide for themselves where to open a centre. “This often means that new services are constructed where land is less expensive and readily available and where there may already be oversupply,” Ms Bridge says. Federal Assistant Minister for Education Sussan Ley says existing programs encourage new childcare centres to open in disadvantaged, regional, remote or rural communities, but the issue will be further investigated by the Productivity Commission. Michelle is a journalist and mum to two girls who are obsessed with dinosaurs, fairies, pirates and princesses in equal measure. She lives in Melbourne's east with her husband, daughters and a giant, untameable labradoodle. Michelle loves all things vegetarian, wine (it's a fruit) and online shopping.